Ideal for weights up to 50 lbs. Ideal for weights up to 200 lbs. Ideal for weights up to 400 lbs. 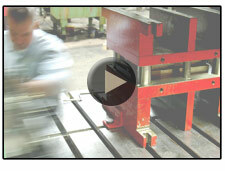 Provide continuous, level, frictionless support for coil stock from the feeder to the die. 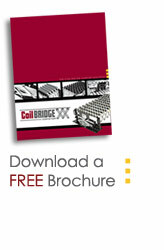 Install a single flexible coil stock support solution that fits most dies, presses, and feeders. Eliminate coil stock sagging and buckling without damage to production materials. Improve efficiency and appearance of coil fed press operations.